RB2011iLS is MikroTik's first product with SFP cage for gigabit SFP transceivers and ideal solution for FTTH (Fiber To The Home) implementations. 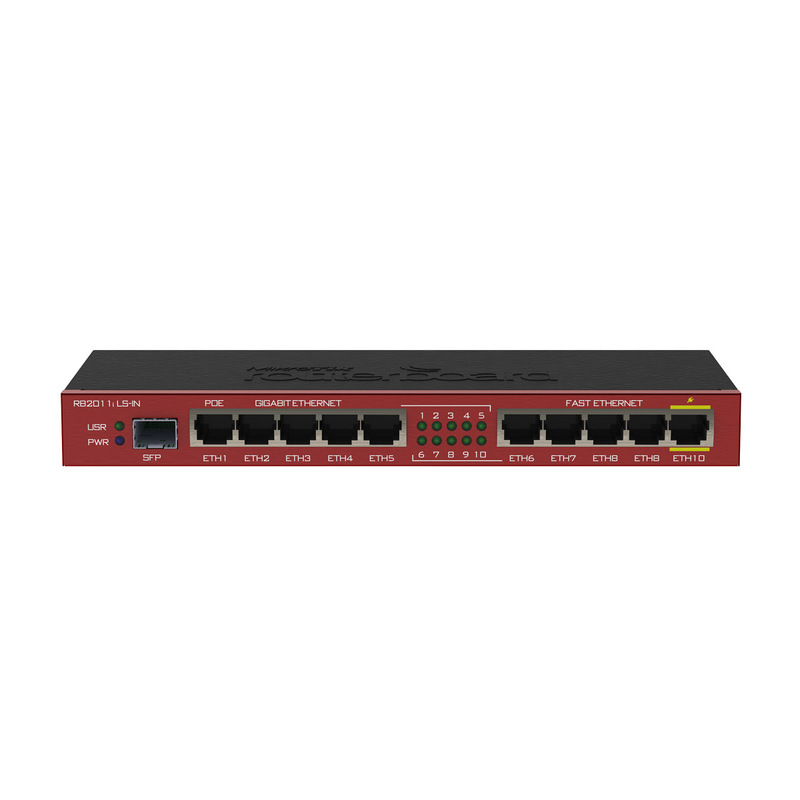 The RB2011iLS-IN has 11 ports: Gigabit SFP cage and five Gigabit Ethernet ports that can be switched together providing affordable wirespeed Fiber-to-Copper converter, and additional five Fast Ethernet ports. Board can be powered by power jack or PoE. Note that SFP transceiver is NOT included. RB2011iLS-IN supports any 1.25G SFP transceivers that is within the SFF Committee specifications for SFP Transceivers. 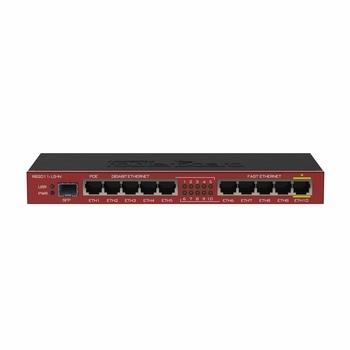 RB2011iLS-IN doesn’t have hardware support for PON (Passive Optical Network). It’s powered by the new Atheros next generation 600MHz 74K MIPS network processor and has 64MB of RAM and a Level4 RouterOS license. There is PoE output function for port #10 - it can power other PoE capable devices with the same voltage as applied to the unit. Maximum load on the port is 500mA. RouterBOARD 2011iLS-IN comes with desktop enclosure and power supply. Wall mount kit for network closet is available for purchase as an optional accessory.